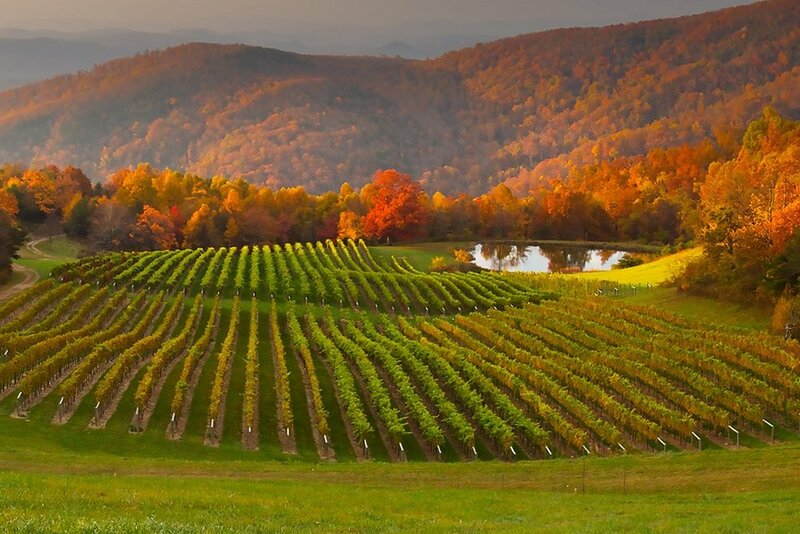 Asheville is at the heart of one the North Carolina Mountains Wine Region. One of the region’s premier wineries is south of the city and a few miles off Interstate 25 near the town of Hendersonville. Lemuel and Sandra Oats purchased their Henderson County property with an eye toward growing grapes for Biltmore. After they began planting in 2007 and 2008, it quickly became evident that the money was in production and sales. So the couple bottled their first vintage of Burntshirt Vineyards wine in 2011. Today, Burntshirt has two vineyard sites with a total 30 acres under vine. The varying elevations allow a range of grapes that include all of the primary Bordeaux varieties (Cabernet Sauvignon, Cabernet Franc, Malbec, Petite Verdot and Merlot) in addition to cooler climate grapes like Riesling and Grüner Veltliner. Indeed, Burntshirt is one of the few growers of Grüner south of Pennsylvania. In addition to the Hendersonville tasting room, Burntshirt has a satellite tasting room near Chimney Rock. Both target the regional tourism market, but also have a loyal local following. 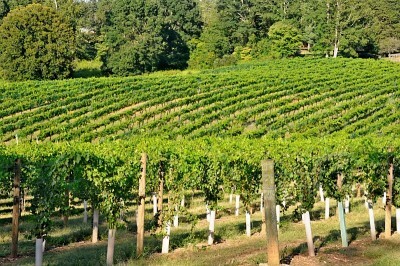 The winery is also an easy day trip from Greenville or Spartanburg, South Carolina. So business is brisk and with good reason. I have tasted several of the offerings and all were exceptional. In addition, only estate fruit is used in the annual production of 5500 cases of largely dry-style wine. With plans to plant a couple more acres the case count may increase slightly, but Burntshirt’s new general manager and winemaker, Derek Pross, is committed quality. If you were previously unaware of this region, you should make an effort to check it out and Burntshirt Vineyards should be on your short list. After stopping in, let me know what you think. All photographs courtesy of Burntshirt Vineyards.